Heat oven to 450°F. Line a sheet pan with parchment paper. Drizzle olive oil on salmon fillets. In a small jar combine the brown sugar and bourbon with 1/2 teaspoon salt and fresh ground pepper (to taste). 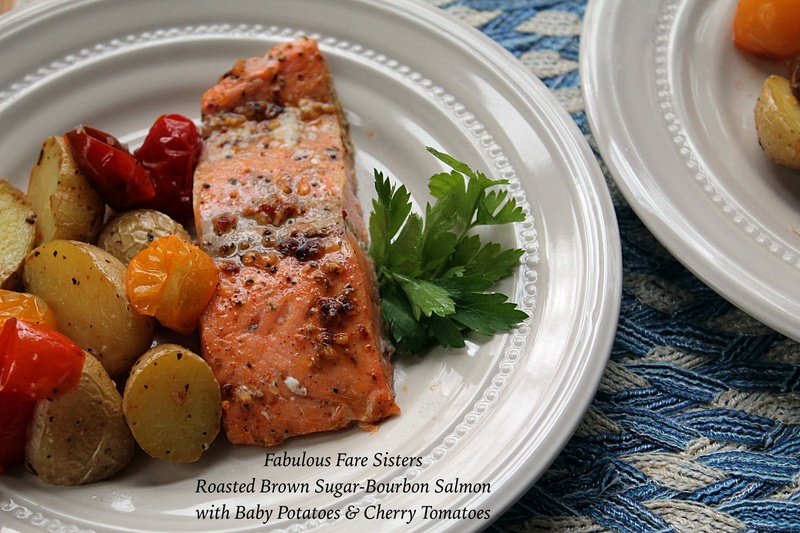 Smear brown sugar-bourbon mixture on both sides of salmon. Place baby potatoes halves in a small bowl; toss with some extra virgin olive oil, salt & pepper. Place cherry tomatoes in a second small bowl; toss with some extra virgin olive oil, salt & pepper. Lay potatoes on one side of the sheet pan and roast 8-10 minutes. 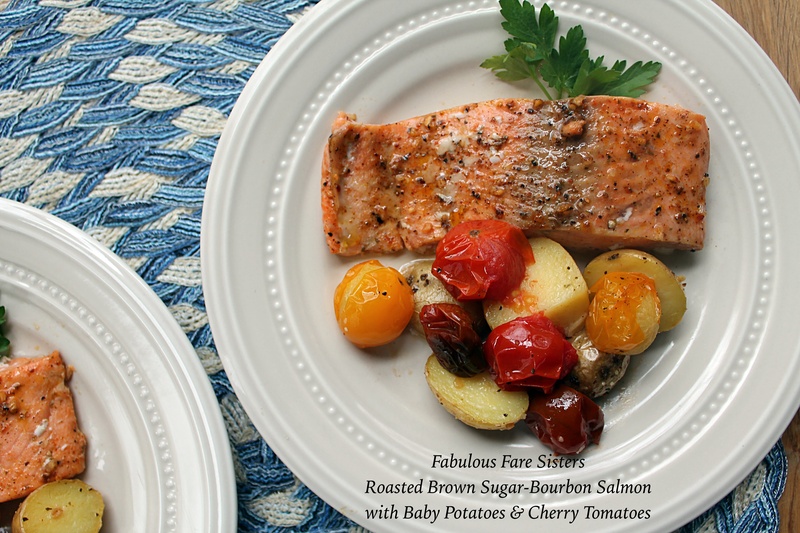 Bring the sheet pan out of the oven and place the salmon fillets and the cherry tomatoes on the other side of the sheet pan. Roast an additional 8 minutes until tomatoes begin to burst. Makes 4 servings. Bet it did, Linda:) Happy and Healthy New Year!